– Aaron McEwan, HR advisory leader, CEB. 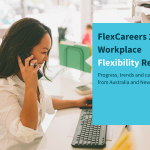 The goal of flexible working arrangements is to help employees balance the changing demands of work and personal life and thus positively contribute to improved performance and productivity. 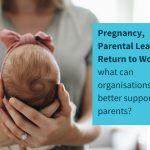 However, for highly engaged employees, managing the tension between work and home with flexible working arrangements can become a double-edged sword for burnout if it is not managed effectively. 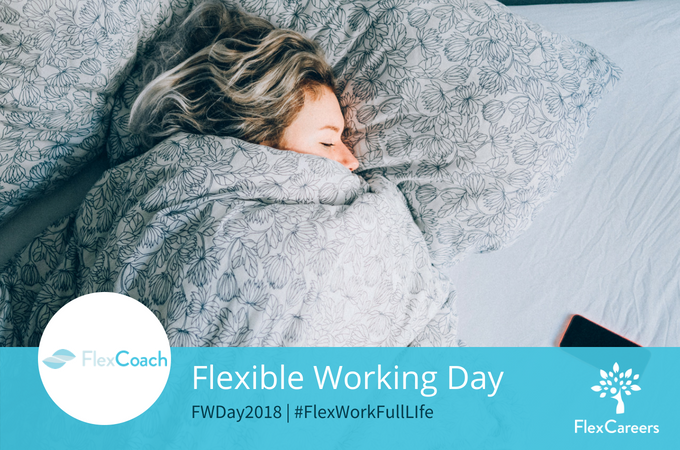 Flexible working conditions can hide the extent of factors contributing to burnout, such as exhaustion or fatigue, from employers who, unintentionally, encourage this behaviour in their most engaged employees. I worked for an employer of choice and was fully empowered to do my job. I could work from home when necessary with little supervision because I always delivered results. I loved my workplace and I loved what I did. I enjoyed it and I was fully engaged and committed. I also loved being a mum and of course my family. I had flexible working down pat. I went home and worked on the presentation. Then I picked up the kids – did the nighttime routine and finally finished the presentation in the wee hours and sent it to work. This was a pattern that I developed to manage the intrinsic desire to do my best at work AND at home. I burned myself out – mentally, emotionally and physically. I fell onto that double-edged sword of flexible working. Why? Because I didn’t manage my most valuable asset – myself. Now I take medication every day to manage my lungs – a constant reminder of the hidden dangers of flexible working. Being engaged with your work means you give that discretionary effort to get the job done. Highly engaged employees are even more likely to give that discretionary effort and more, by diving into their work without taking steps to ensure a healthy work-life balance. 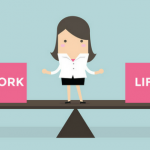 Flexible working conditions can unintentionally enable this downward spiral and work against the original goal – helping employees balance the changing demands of work and personal life. practice self-care to maintain my energy. Companies can also protect their highly engaged employees who work flexibly by building trust and having open conversations. Conversations that enable both parties to manage workloads and expectations favourably. Now when I work flexibly, I am more self-aware to know when I am overextending myself and overcommitting. I can ensure the sustainability of my wellbeing and my career. Conversations in my workplace are more open so managers are aware of my discretionary effort to understand my capacity and capability. It’s about both parties being able to manage expectations for high performance. Use your flexible working arrangements, as a highly engaged employee to improve, not destroy, your greatest asset – YOURSELF! In doing so, you can achieve the work-life balance you desire for yourself, your family and your career. Shannon coaches working mothers to bring more of their authentic self and align with their purpose to uplevel their performance so they can smash their results and then switch off at home to be present for their loved ones – happy in the knowledge that they are fulfilling their potential at work and at home. What this means for the individual is that they re-engage with their passion that drives them at home and at work. They learn to balance the two and intertwine them with a particular set of skills to be successful in both arenas. They rediscover themselves, their goals and their passion to have it all with a clear conscience. With working mothers achieving more and being more balanced, we can improve the lives of children – future generations, everywhere. 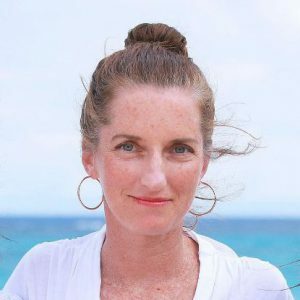 Discover more about Shannon’s business here. FlexCareers offers a FREE 30-minute introductory meeting with our FlexCoaches, to help you establish if coaching is right for you. You can contact Shannon through FlexCareers here. « FWDay2018: Holmes (NZ) make flexibility part of their DNA.